I know we’ve touched on the topic of boredom in the past (in this post about after-school activities), but this new opinion piece on boredom in the New York Times really resonated with me and I thought it makes for an interesting discussion. The article touches on the fact that boredom spawns creativity and self-sufficiency, and that it’s important for children to accept that life isn’t always a ‘parade of amusements’. Sometimes it’s boring, and the sooner children accept that, the better off they’ll be. I have to say, I completely 100% agree with this! I grew up on a farm in the countryside. We didn’t have cable TV, we didn’t have a skate park, shop or town hall we could walk to, we didn’t even have neighbours! Whenever we told our parents we were bored, we were told to go outside and play, or my dad would cheekily suggest a chore like pulling weeds or washing the car. We quickly learned that we were better off playing nicely and looking busy than admitting boredom to our parents. As a result, my siblings and I played for hours together every day, creating our own games and running wild and free in the surrounding fields. Of course we’d eventually get bored, but we’d then have to find something else to do: a new game to play, a craft to make, a play to perform, a book to read, etc. We didn’t rely on our parents to constantly provide entertainment. As the article suggests, back then parents didn’t have as much pressure on them to over-parent. 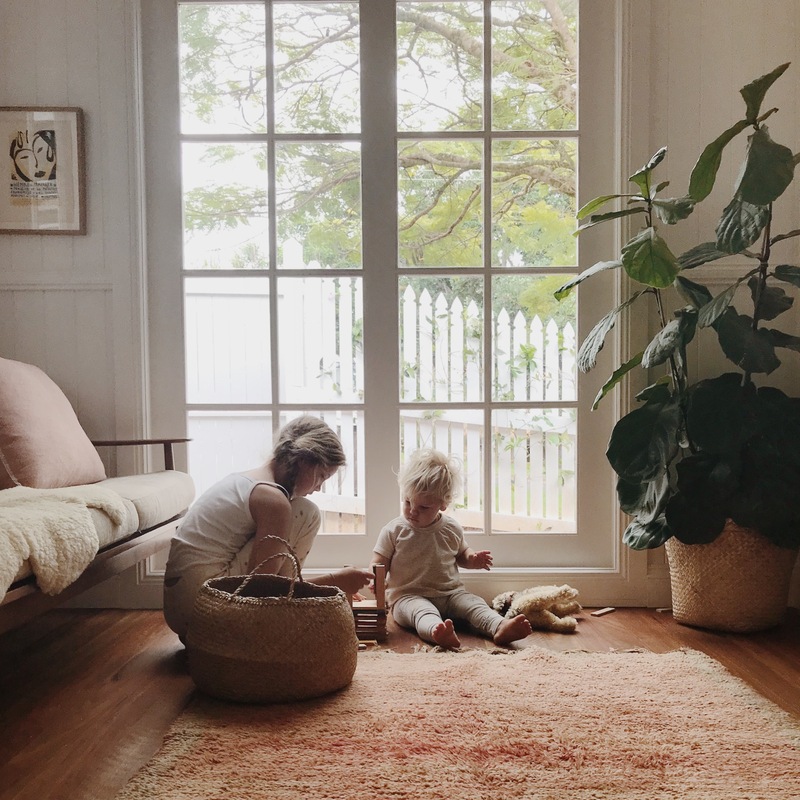 The article claims that ‘nowadays, subjecting a child to such inactivity is viewed as a dereliction of parental duty…every spare moment is to be optimized, maximized, driven toward a goal’. Call me an old-fashioned under-parenter, but I simply refuse to buy into this kind of parenting. My kids play so well together when they’re home and bored. Of course there are the occasional arguments and whinging, but I’ve found the more uninvolved I am when they argue (within reason, of course), the better they play. We also don’t have a television and the kids don’t have any electronic games or devices, so there isn’t a quick entertaining solution in our house. Again, as a result, they end up playing more creatively, crafting more, reading more, being bored…!!! I’d love to hear your thoughts on this. Please leave comments below! So glad to read about under-parenting! I’m a huge fan of boredom. I have to say that’s my main parenting technique! Yes, my kids have outside activities like swim club, music lessons and theater, but when they’re home I totally under-parent and I’m quite satisfied with the results. The kids’ creativity is sparked, they figure out ways to not simply occupy themselves, but create, invent, and discover. I also limit my intervention in their disputes so that they figure out how to resolve conflicts and negotiate. We also travel a lot and when we travel, they don’t bring anything but a book with them (my kids are 12, 8 and 3). The little one just brings her “doudou” and that’s it. I want them to interact, observe and connect to the experience of traveling and new environments. If they have all of their stuff with them, the dynamic would be totally different. I don’t have anything new or inspiring to say other than that I agree 100%!!! The days my children mention boredom end up being the days that they blow my mind with their creativity and imagination — hunting for treasure outside, planning a performance with tickets to their show, playing school (complete with “field trips” and specials), crafting for hours, etc — they recently made a yearbook with photos and superlatives of our chickens — ha! I could go on!!! Completely agree with this. I have little ones (under 5) so it’s actually quite easy to set them up with a little something to play with or put the big basket of dinosaurs in the middle of the rug and leave them to it. BUT how does it work when they’re older and there’s more influence from their peers? Do they feel like their missing out? 1000% agree, and I think it’s an important thing for adults to remember too… I genuinely can’t remember the last time I was bored, and the idea of boredom sounds like absolute bliss, the holy grail state of mind that’s at the end of the endless to-do list… but maybe it needs to be bumped up to the top of the list every now and then. I agree with this 100%. However, with three very young kids (all under 4) and my husband and I both working quite a bit, I sometimes have to remind myself that while boredom and time to be free and use your imagination is important, spending quality time with them and playing with them is also important. It’s a balance I always have to try to find! I’ll often realize that I haven’t actually spent much time with one (or sometimes all!) of them because I’ve been so busy doing other things. I’ve also learned it depends on the child. My oldest could play and entertain herself all day, while my second often needs a little nudge doing things on her own. Regardless-I do agree that often kids are over parented these days. Thanks for this post (also loved the NY Times piece that you shared). I am so excited to see that there are parents with older children who manage to do this! Our daughter is 2.5, and so far, we have managed with zero screens and electric toys. We play with her a lot and could surely improve on her “boredome training” (although I feel that it can prove more difficult when you only have one child). My question is: what happens when they go to kindergarten and then school? How do they feel when their peers talk about TV shows/cartoons they like, collect cartoon character stickers, or play video games? How did you prepare your children for this; and how do you explain that what’s considered “normal and fun” in most families isn’t in yours? It’s definitely a tough one that being an only child qho was very introverted, has a hard time finding solutions for. I read this article as well and loved it. with them. 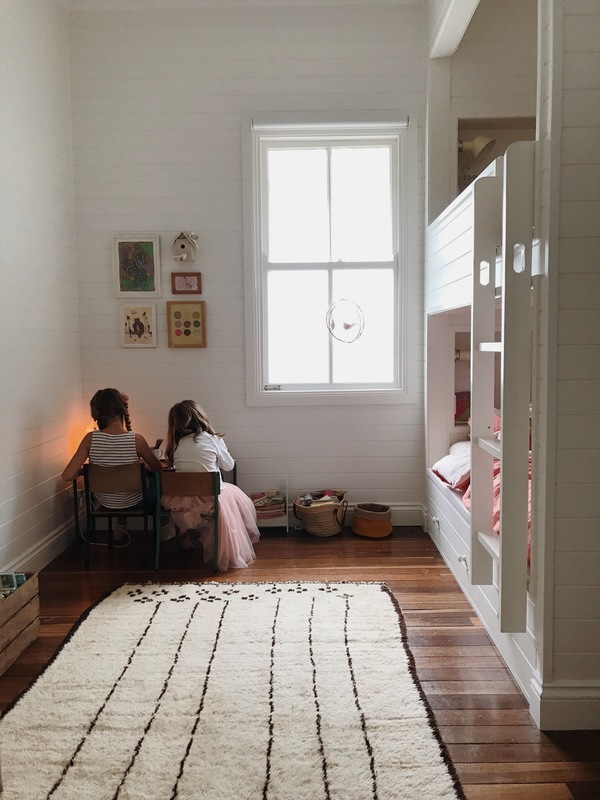 I know some parents might say that maybe she should find new friends but I feel more and more in our urban lifestyles parents are relying on electronic devices so it makes it harder and harder to push back when so many kids are doing it. I am fine with pushing back but i feel like it’s a constant battle with her. I know in Byron it seems many people share your beliefs. do other kids at school have devices or electronics that ever make your kids jealous or feel left out? it’s so much easier if all families were on the same page. “I am bored” are my 3 favourite words – after “I love you”, of course!! My 10 year old daughter and especially my 12 year old son live in fear of me suggesting at 1970’s day (which was when I grew up)! We go outside, we discover stuff about ourselves and generally end up closer than ever. As in most cases, walking a middle line is easiest. I don’t think you need to constantly get kids bored to prove a point. And I think you risk alienating kids from their peers if you completely ban tv and electronic devices. It’s important to guide them and teach them responsible use of these things rather than going blind through rose tinted spectacles. No offence but your kids must feel they miss out on times if they can’t even, say, watch surf videos. I completely agree about walking a middle line. Of course if you ban something outright, your kids could end up not having a healthy relationship with whatever it is you’ve banned. We don’t ban television completely. We do sometimes watch a movie together as a family. Easton and Quin sometimes watch surf videos if there’s a competition on that they’re interested in watching (and actually, I do think the surf videos help give them inspiration for their own surfing). My kids certainly don’t feel like they are missing out in terms of TV or electronics. It’s not something they are begging for. In fact, our eldest, Easton, who will turn 14 in June, is now one of only 4 kids in the class who don’t have a mobile phone, and he’s still not asking me for one.